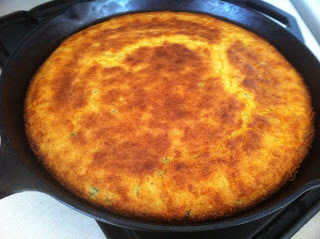 I decided to take that childhood memory up a notch by adding extra ingredients to the traditional cornbread batter. Preheat oven to 450. 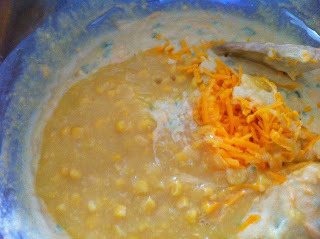 Mix dry ingredients (cornmeal, flour, sugar, baking powder, and salt). 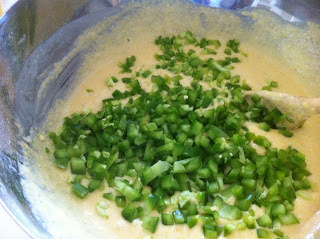 Add beaten eggs, oil and buttermilk and mix until thoroughly incorporated. 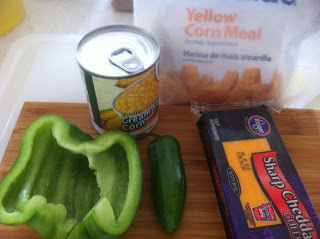 Add creamed corn, bell pepper, jalapeno, and sharp cheddar cheese; and mix until incorporated. 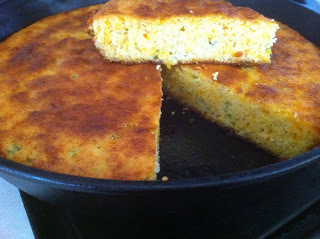 Pour batter into greased 9 inch baking pan or 10 inch hot-greased skillet. 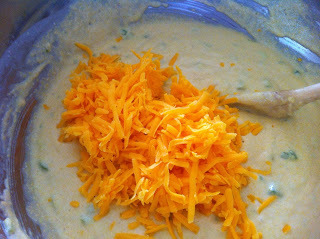 Bake for 30 – 35 minutes. Oh my goodness, it is truly truly delicious. The aroma coming from the oven will make your mouth water.